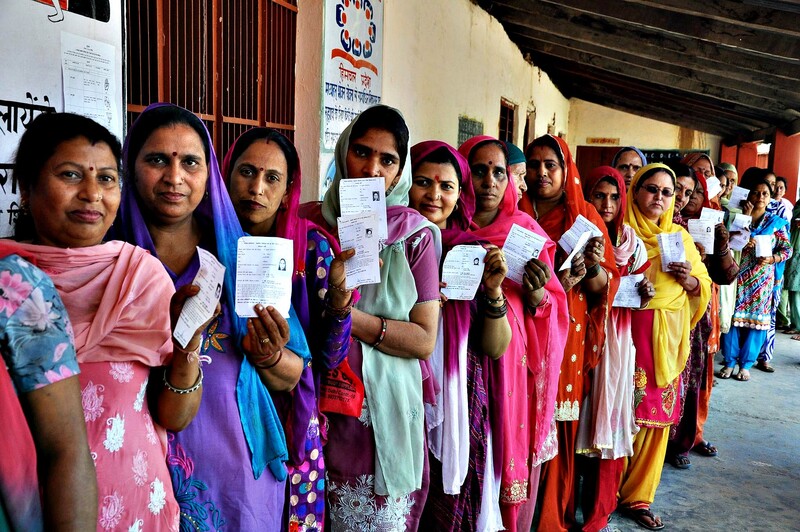 As the world and India celebrate International Women’s Day, the state of representation of women in the country’s decision-making process continues to be dismal, with only 9% women MLAs and MPs across the country in 2019, according to a report by the Association of Democratic Reforms (ADR) and National Election Watch. Not just that, hundreds of men who declared cases of crimes against women against them in their affidavits, were given tickets by key political parties, with BJP giving the highest number of tickets at 54. Out of total 4,865 MPs/MLAs analysed from across the country, only 440 (9%) are women, says the report, adding that among members of Parliament, Lok Sabha has 66 (12%) women out of the 542 analysed while the Rajya Sabha has 25 women MPs (11%) out of the 228 analysed by the two non-profit organisations. Among the contesting candidates in Assemblies and Parliament, only 8% are women, said the report, noting that in the last three Lok Sabha Elections (2004 to 2014) the number of candidates had increased “remarkably” but the increase in the number of women candidates remained nominal. None of the country’s state Assemblies had more than 10 % women candidates, barring exceptions like Jharkhand (10%), West Bengal (10.30%) , Sikkim (10.30%) and Chhattisgarh (10%), which had highest percentage of women candidates. Delhi had 9.8% women candidates in the fray. The lowest number of women candidates is in Nagaland and Arunachal Pradesh (3% each) and Jammu & Kashmir and Manipur (4% each). Party-wise, the ruling Bharatiya Janata Party had the highest number of women MPs and MLAs at 150, followed by Congress at 91 and Trinamool Congress at 44. Now a look into the male candidates who dominate the decision-making process and have declared cases of crimes against women. According to the report, out of 1,642 (34%) MPs/ MLAs analysed with declared criminal cases, 52 have declared cases related to crimes against women. Among these, 52 MPs/MLAs with declared cases related to crimes against women, 45 are MLAs and three are MPs. A total of 480 candidates analysed, who had declared cases related to crimes against women, were given tickets by recognised political parties, said the report. “Among the major parties in the last five years, 54 candidates with declared cases related to crimes against women were given tickets by BJP. The second highest number of candidates, i.e. 37 who had declared cases related to crimes against women were given tickets by BSP, followed by 30 candidates from INC who had declared cases related to crimes against women and had contested for Lok/Rajya Sabha and State Assemblies,” said the report. Next articlePM Modi Launches Unique Twitter Campaign Against Congress!